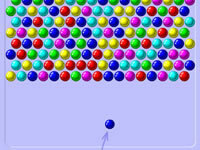 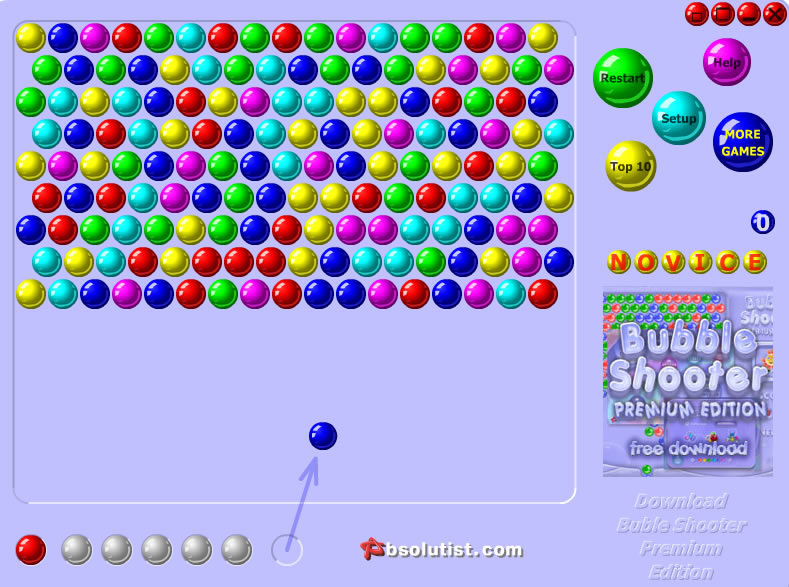 Just point the mouse to where you want the next bubble to go, and if three or more of them came together, they will detonate (the bigger the explosion - the more points you get). 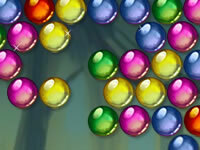 If some bubbles are disconnected from the rest, they will explode too (this will give you ten times more points). 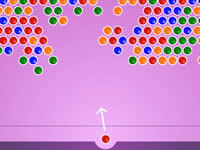 The column on the right indicates your shooting success - red balls show the number of misses, blue balls - the misses allowed until another line of bubbles appears on the board. 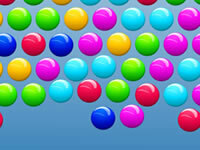 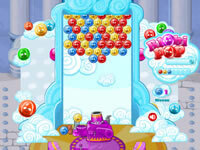 When you shoot out a color, the number of new lines increases; when you clear all bubbles, your score doubles.